The Yellow Perch is a fish that can be solitary, but for the most part it sticks together with others to form a school. These schools of fish usually stick together by age groups and number between 50 to 200. The schools are usually spindle shaped, as shown in the picture above. During the mornings the schools form as the fish meet and travel throughout the day together. When they can no longer see each other at night they disperse and move to the bottom of the lake or river and remain motionless. 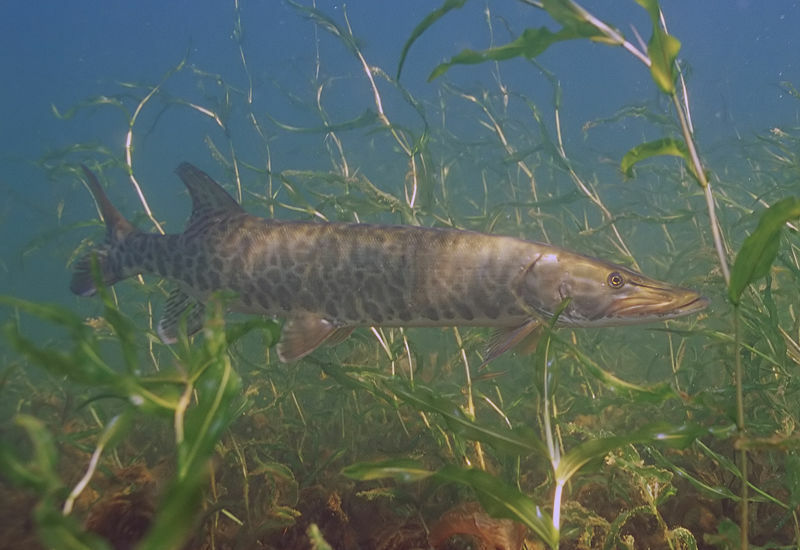 muskellunge in a typical aquatic enviornment that the Yellow Perch would live in.